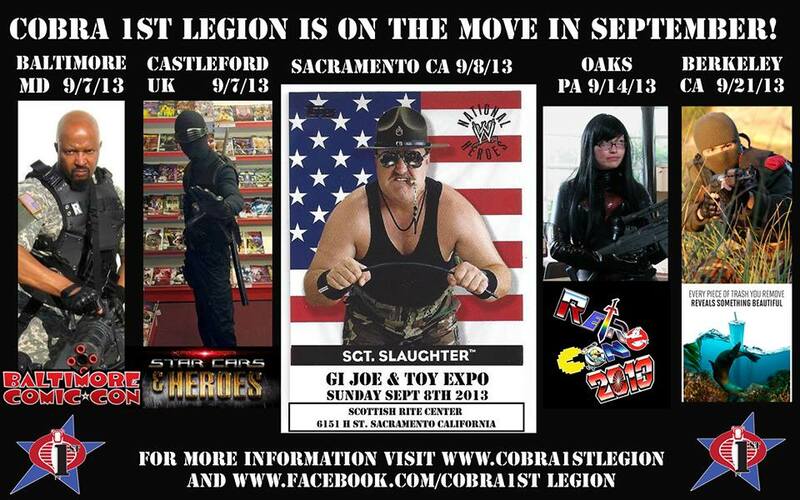 This entry was posted in Fandom, News and tagged Baltimore Comic Con, Cobra 1st Legion, Conventions, cosplay, Fandom, G.I. Joe & Toy Expo, retrocon, Sgt. Slaughter, toyfusion.com by Fred Meyer. Bookmark the permalink.